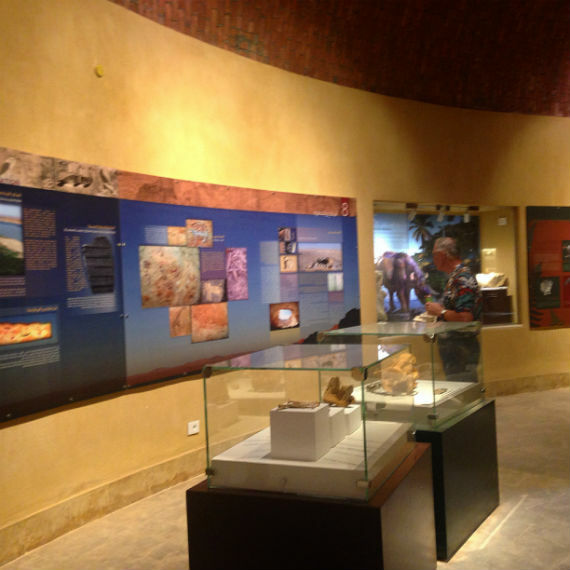 Marks a very important date in Egypt’s modern history, a date that the world, and we Egyptians would always remember as the day one of the greatest museums was inaugurated on Egypt’s Fayoum Oasis; the Fossil & Climate Change Museum. 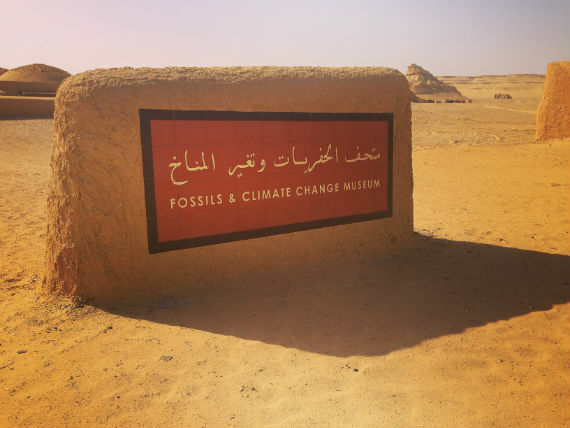 The Fossil & Climate Change Museum was established inside Wadi Al-Hitan, known as the Valley Of Whales designated as a UNESCO World Heritage Site in 2005. 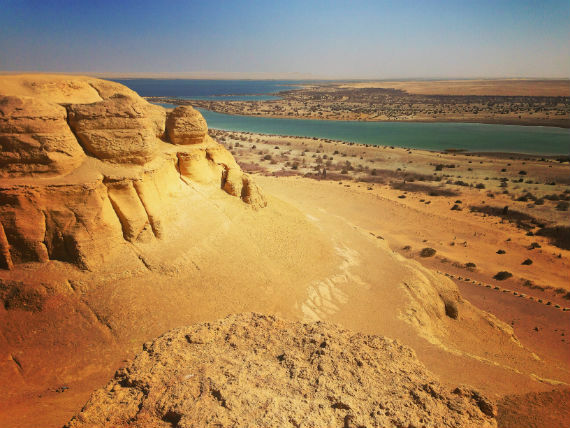 The Valley that is now part of the Egyptian desert, is believed to have been covered by a vast prehistoric ocean over 55 million years ago, inhabited by land mammals, such as now extinct Walking Whales, which has since vanished due to climate changes, fall of sea levels, and rise of land masses. 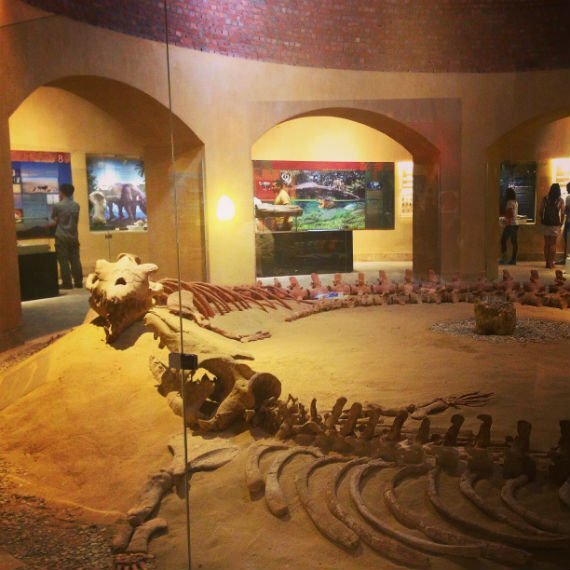 The Valley hosts a variety of whale fossils, and skeletons that are displayed outdoors, as for the museum it has a variety of fossils, skeletons, fossilized mangroves, and ancient sea shells exhibited indoors in glass boxes, with an included description so that the visitor will learn all about what s/he looking at. The museum’s building has been designed in a way that perfectly fits, and blends with its surroundings, not to mention that solar cells have been installed at the valley to generate electricity to feed the whole valley, including the museum. Bonus tip: It’s even better if you spend the night camping at the Valley, to wake up before break of dawn, hike through it until the sun comes up, and draws its awesome reflections on the Valley’s rock formations. After being to the museum, I confess that I cannot be more proud of such great work, and effort put into it, while encouraging everyone to visit it, promote it, and pushing others to go see it. 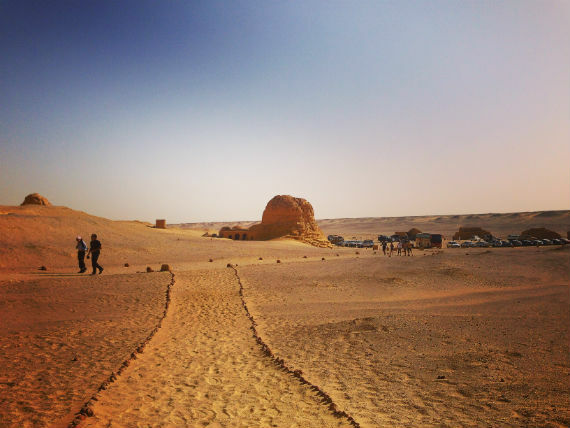 Egypt isn’t only about the Pyramids, Sharm El-Sheikh, and Hurghada, there is a lot to see, explore, experience, and discover…so start now!